Strategy – and a bungled pit stop from Red Bull – proved decisive. As the early rain eased, polesitter Ricciardo pitted first for intermediate tyres, while Hamilton chose to stay out until conditions improved enough for slick rubber. Ricciardo had enough time in hand to make a further stop and regain his lead, but when he arrived at his garage, a miscommunication meant Red Bull had no tyres ready for him and the Australian was stationary for a very costly 13.6s. He rejoined just behind the world champion, a position on which he was never able to improve. Sergio Perez took his sixth career podium with third place, after an inspired decision from Force India to switch him early to the hardest of the dry tyres. 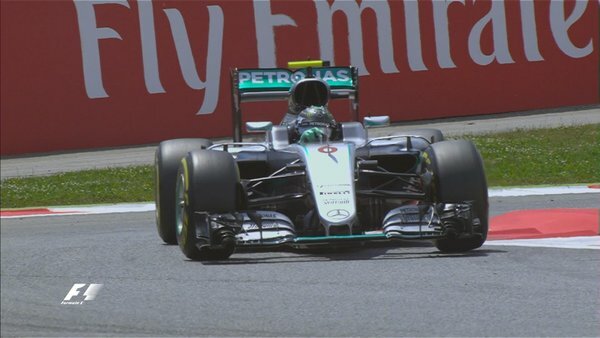 That allowed the Mexican to finish just ahead of Ferrari’s Sebastian Vettel. 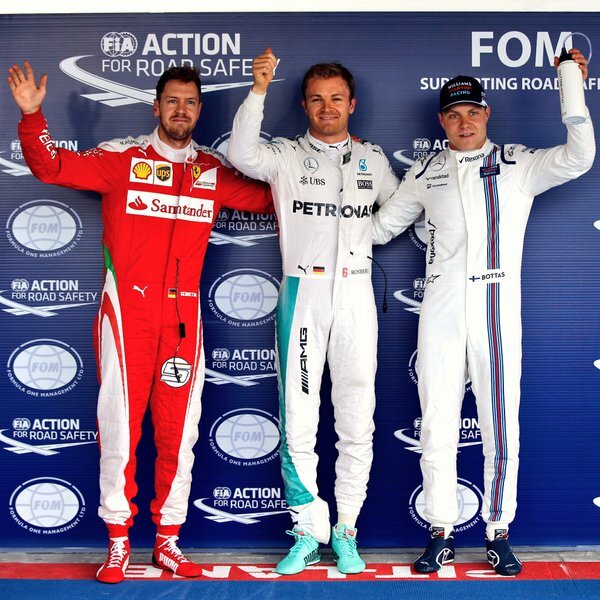 Fernando Alonso secured McLaren’s best result of 2016 to date with a distant fifth place, while a very cautious Mercedes’ Nico Rosberg lost sixth place on the final straight to Force India’s Nico Hulkenberg, with his championship lead over Hamilton reduced by 19 points as a result. Toro Rosso’s Carlos Sainz, McLaren’s Jenson Button and Williams’ Felipe Massa completed the top ten. With rain heavy ahead of lights-out, racing finally began on lap eight, with Ricciardo making an excellent start to pull clear of the two Mercedes. Behind him, Renault’s Jolyon Palmer was the first victim of the tricky conditions, losing his Renault over the white lines on the start-finish straight, spearing into the wall and coming to a halt in the Ste Devote run-off. Next to go was Kimi Raikkonen, who slid straight into the barriers coming into the hairpin on lap 11, immediately after the virtual safety car prompted by Palmer’s shunt had been with withdrawn. The Finn broke off his front wing and dragged it under his Ferrari all the way to the chicane before pulling off. In the process he almost forced Haas’s Romain Grosjean into the wall – the stewards will investigate post-race. Daniil Kvyat’s race started with power issues on his Toro Rosso that put him a lap down before the safety car pulled in, but ended in the wall at Rascasse on Lap 21 after a bungled passing attempt on Renault’s Kevin Magnussen, with whom he had already tangled through the swimming pool section. Again, stewards are investigating. Magnussen retired a few laps later after taking his front wing off against the barriers at Mirabeau. Max Verstappen went from Spain hero to Monaco zero with his third crash of the weekend, putting his Red Bull into the wall at Massenet on lap 35. Felipe Nasr retired with smoke inside his Sauber on lap 52, shortly after he and team mate Marcus Ericsson had needlessly collided at Rascasse, the Swede making a late dive for the inside shortly after the Brazilian had been ordered to let him by. Ericsson also ended his race in the pits a few laps later. Stewards are investigating the intra-team incident. 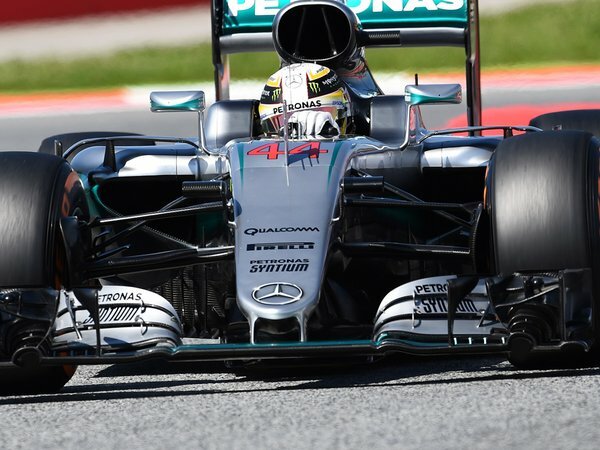 Hamilton will start Sunday’s Barcelona race from pole position after beating Mercedes team mate Nico Rosberg by three-tenths of a second in qualifying. Meanwhile, Ferrari were outgunned by Red Bull as Daniel Ricciardo and Max Verstappen took the row-two grid places. The Q2 phase accounted for Force India’s Nico Hulkenberg, McLaren’s Jenson Button, Toro Rosso returnee Daniil Kvyat, Haas’s Romain Grosjean, Renault’s Kevin Magnussen and Esteban Gutierrez in the second Haas. Felipe Massa was the big scalp in Q1, as an apparent timing error from Williams left the Brazilian 18th. Eliminated with him in the opening phase were Renault’s Jolyon Palmer, the Saubers of Marcus Ericsson and Felipe Nasr, and the Manors of Pascal Wehrlein and Rio Haryanto. While the top quartet were in a league of their own – and the Red Bulls completed a mini-group with Williams’ Valtteri Bottas – it was very close behind, with less than one second covering Sainz in eighth down to Perez in 14th. That grouping included the second Williams of Felipe Massa, McLaren’s Fernando Alonso, Renault’s Kevin Magnussen, Kvyat and Perez’s team mate Nico Hulkenberg. While Alonso therefore earned McLaren’s heavily-revised MP4-31 a place in the top 10, team mate Jenson Button was far less happy. He finished 19th – 1.4s down on Alonso – and complained of handling issues during the 90-minute session. Haas’s Romain Grosjean was also unhappy, labelling his car a ‘disaster’ in low-speed corners. The Frenchman – who along with team mate Esteban Gutierrez did not set a time in the opening half of the session – wound up 16th, with Gutierrez one spot further back. With Vettel carrying a five-place grid penalty due to an unscheduled gearbox change, the German will start seventh behind – in qualifying order – Williams’ Valtteri Bottas, Ferrari’s Kimi Raikkonen, Williams’ Felipe Massa, Red Bull’s Daniel Ricciardo, and Force India’s Sergio Perez. 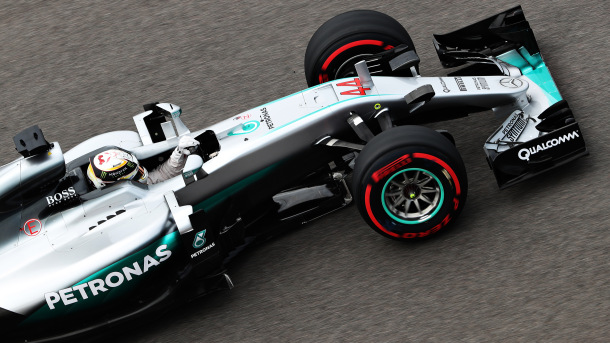 The opening phase saw Hamilton edge out Rosberg with 1m 36.006s to 1m 36.119s – both comfortably faster than they had been in FP3. 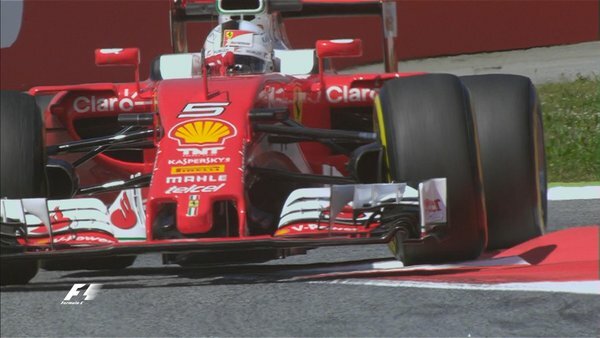 Vettel was close, but not close enough, with 1m 36.555s. Lewis Hamilton left it until the very last moment to grab fastest lap from Mercedes team mate Nico Rosberg on Saturday afternoon, as Sochi Autodrom hosted the final session of practice for the 2016 Formula 1 Russian Grand Prix. The two had played nip and tuck throughout, with Rosberg generally holding a one- or two-tenth advantage, as Hamilton frequently went quicker in the first sector only to lose out in the second. Both also had off-track moments. There was a brief virtual safety car deployment after 15 minutes when Sergio Perez failed to make Turn 13, ran into the run-off area and then tried to make an anti-clockwise arc to get back on track before his Force India ran out of steering lock as he neared the wall. But that was all sorted out quickly, without causing too much interruption. Rosberg then did much the same thing, albeit making a better fist of the recovery process with a quick bit of reversing, and later Hamilton went off on a tighter line and was able to get back out in a clockwise direction. 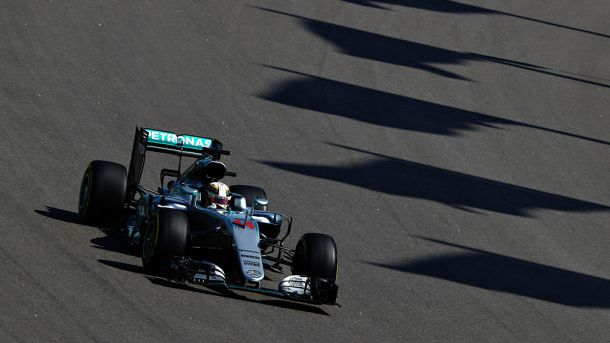 In the end, Rosberg lapped in 1m 36.471s only to see Hamilton bang in his best of 1m 36.403s. For a while the Ferraris looked very threatening as Vettel lapped his SF16-H in 1m 37.007s when Rosberg had done 1m 36.783s and Hamilton 1m 36.953s, but where the Silver Arrows went quicker, the red car did not. Kimi Raikkonen was fourth, but struggled with a wayward car on his way to a disappointed 1m 37.727s. Behind him, the Williams duo of Felipe Massa and Valtteri Bottas were close with 1m 37.918s and 1m 37.985s apiece. Right at the end Max Verstappen jumped his Toro Rosso to seventh with 1m 38.133s at the expense of Jenson Button, who nevertheless boosted McLaren’s hopes of making Q3 this afternoon with 1m 38.260s. Toro Rosso’s Carlos Sainz and Perez completed the top 10. All of them set their times on the supersoft Pirelli tyres. As six-tenths covered Verstappen in seventh down to McLaren’s Fernando Alonso in 12th, eight-tenths bracketed 13th placed Dany Kvyat and last man Felipe Nasr. Qualifying is going to be very tight. Mercedes’ Lewis Hamilton moved to the head of the timesheets in Friday’s second practice in Russia, as suspected electrical problems on his Ferrari ended Sebastian Vettel’s running just half an hour into the 90-minute session. Vettel finished second nonetheless, with FP1 pacesetter Nico Rosberg third in the sister Mercedes, 0.8s behind his team mate. Fourth place went to the second Ferrari of Kimi Raikkonen. After struggling in Rosberg’s wake all morning, Hamilton brought some ‘Hammertime’ to the Sochi Autodrom as the world champion got things together on the soft-compound Pirelli tyres to set the initial pace with 1m 38.311s ahead of Rosberg on 1m 38.450s and Vettel on 1m 38.921s. The Englishman’s runs were not without incident, though, as he ran wide at Turn 7 and then spun at Turn 4. At the half-hour mark Ferrari switched to the supersofts and saw Vettel temporarily go fastest with 1m 38.235s. However, while trying to improve on that the SF16-H rolled to a halt by the pit wall when the German’s electronics cut out. The virtual safety car was deployed as the red car was wheeled away. Thereafter, Hamilton blasted his rivals with a blistering lap of 1m 37.583s on the red-banded tyres to undercut Vettel by 0.652s. He subsequently failed to improve, as did Rosberg, before they moved on to race runs. Raikkonen was a disappointing half a second off Vettel’s pace, as the Red Bulls of Daniel Ricciardo and Daniil Kvyat sandwiched Valtteri Bottas’ Williams. Jenson Button in the lead McLaren, Felipe Massa in the second FW38, and Fernando Alonso in the sister McLaren completed the top 10. Again, the green track caught out many; besides Hamilton, both Manors spun, Romain Grosjean half spun his Haas, and Rosberg, Ricciardo, Kvyat, Jolyon Palmer, Marcus Ericsson, Felipe Nasr and Carlos Sainz all had harmless off-track excursions.